recipe details | CanolaInfo | Canola Oil. Good for Every Body! Make sure to store #canola oil in a cool, dark cupboard for maximum freshness and use. It can stay stored this way up to a year. Quinoa is a staple in Peru and with good reason. It is one of the few seeds that has an exceptional balance between fiber, protein and fat. Mixed with aji amarillo, lime juice and cilantro, this zesty salad will add a burst of flavor as well as an abundance of nutrients. 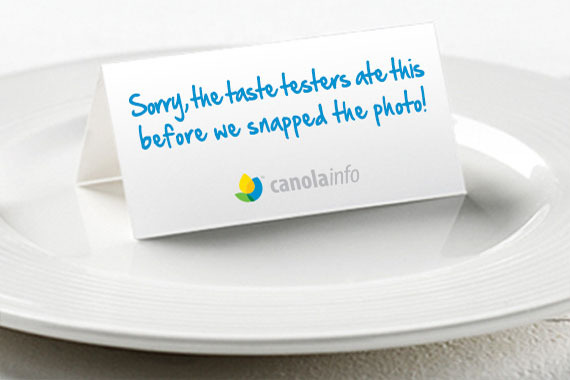 Canola oil’s mild flavor keeps those tastes clean and bright. 1. Rinse quinoa well under cool water in fine sieve or several changes of water. Drain well. In large pot, boil vegetable broth and quinoa over medium heat. Reduce to a simmer and cook quinoa until tender but still firm to bite, about 15 minutes. It’s done when germ separates, making it look like a curly Q. Drain well and return quinoa to pot off heat. Cover with tea towel and replace lid, allowing it to steam and producing fluffy quinoa as it cools. 2. For dressing: To food processor, add all ingredients and blend until smooth. 3. If using fresh peas, bring medium-size pot of water to a boil over high heat. Add peas and cook about 5 minutes. Strain and rinse with cold water to cool. If using frozen, skip this step. 4. 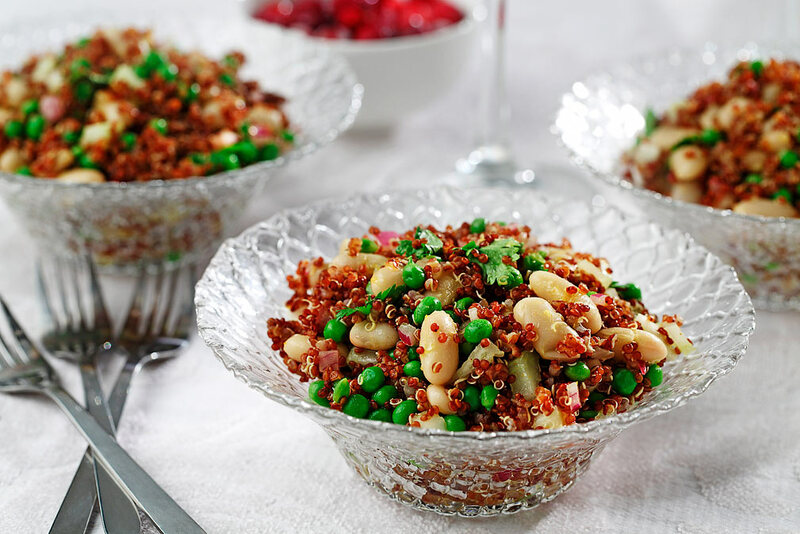 In large mixing bowl, combine cooled quinoa, peas, beans, celery, red onion and dressing. Mix until dressing is distributed evenly and serve. May be prepared one day ahead. Use this versatile pepper paste in salad dressings, with sautéed vegetables or to season grilled fish. Canola oil’s neutral taste helps maintain the peppers’ smoldering heat. A twist on the Peruvian classic lomo saltado, this recipe showcases green beans, which are popular during the holidays. 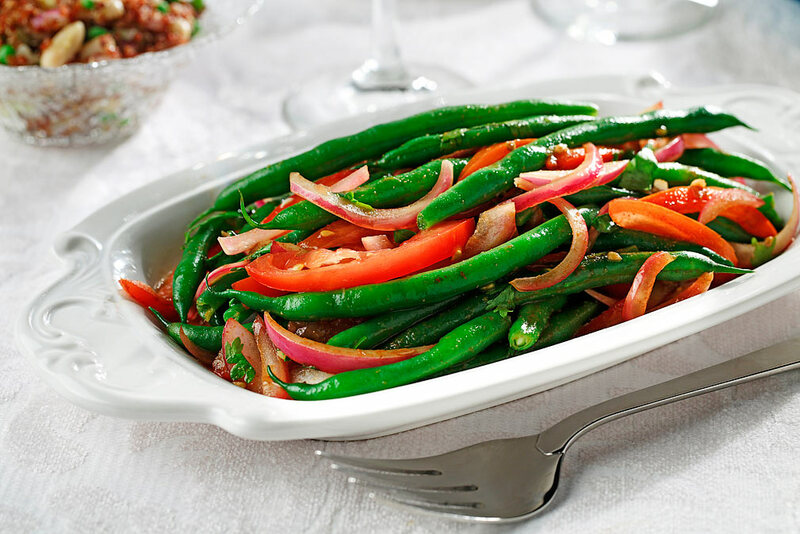 Green beans have high levels of carotenoids and canola oil helps keep the dish’s saturated fat content to a minimum compared to typical holiday sides. 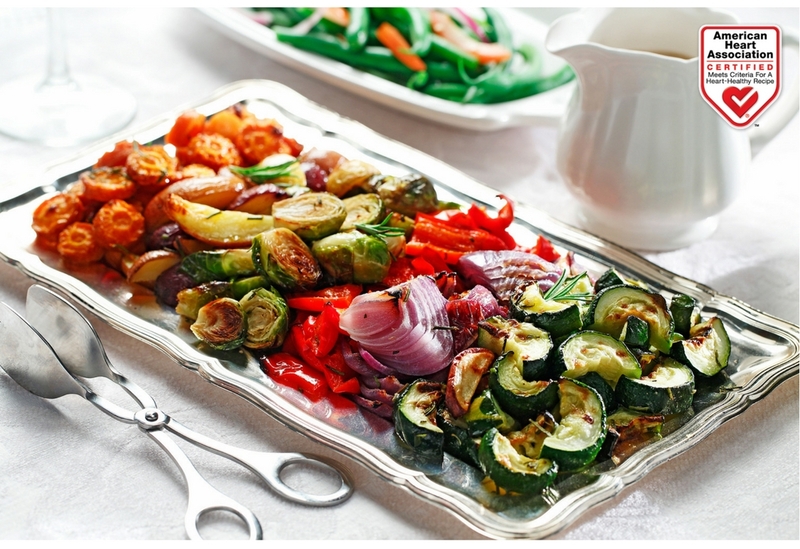 Sometimes the simplest dishes are the best and roasted vegetables provide pure comfort that is hard to beat. Canola oil’s high heat tolerance is a great match for oven roasting.